The subject of the funding of the numerous preparatory meetings for the ‘Global March on Jerusalem’ and its extensive publicity is largely opaque, although the heavy involvement of the Muslim Brotherhood and Iran in the project may suggest the provision of material as well as ideological support. The North American branch of GMJ, however, is somewhat more transparent. 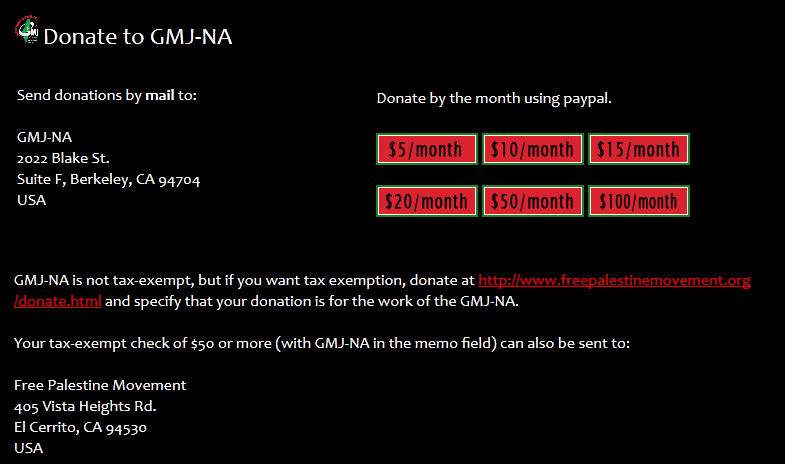 The GMJ-NA website solicits both direct donations and tax-exempt ones via Paul Larudee’s ‘Free Palestine Movement’ which is a 501(c)(3) nonprofit corporation, (U.S. tax identification number 20-5516191) authorized by the Internal Revenue Service to receive tax-exempt donations for human rights advocacy. It is also accredited to the UN Committee on the Exercise of the Inalienable Rights of the Palestinian People since August 2010. On February 25th 2012, a benefit was held in Oakland, California, with proceeds going to GMJ North America. The event featured as its main attraction the controversial anti-Israel campaigner Gilad Atzmon and its venue was changed after public protest, with the new hosts reportedly issuing a statement to the effect that their agreement to rent a room did not constitute endorsement. Atzmon has proved too extreme even for the UK Palestine Solidarity Campaign – which in 2011 issued a statement denying all links with him – and much of the British far Left . 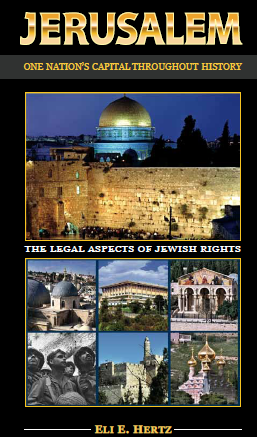 The Community Security Trust (CST) – a British organization dedicated to the safety of UK Jews – described Atzmon’s latest book as “quite probably the most antisemitic book published in this country in recent years”. ISM and ‘Free Palestine Movement’ activist Deppen Webber – also engaged in the promotion and organization of the ‘Global March on Jerusalem’ – was involved with the event’s organization according to his Twitter timeline. @OccupyOakland We need security in downtown Oakland tomorrow night. Does #OO have some folks willing to help?